When math makes sense, kids leap way ahead – whether they started out far behind or already ahead in math. 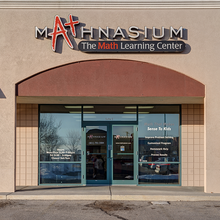 Here at Mathnasium of Mesquite Sunnyvale, our formula for teaching kids math, the Mathnasium Method™, has transformed the way kids learn math for over a decade across 500+ centers in the US and Canada. Our specially trained math instructors will teach your child how to understand math in an individual setting. Our unique approach enables us to effectively explain math concepts well and lend a helping hand to every student. Our tutors foster a caring, encouraging environment that helps kids thrive and learn! We pinpoint your child’s learning needs, meet them where they are, and take them where they need to go. Give us a call today to find out how we can help your child succeed in math or visit us online to learn more about our program!